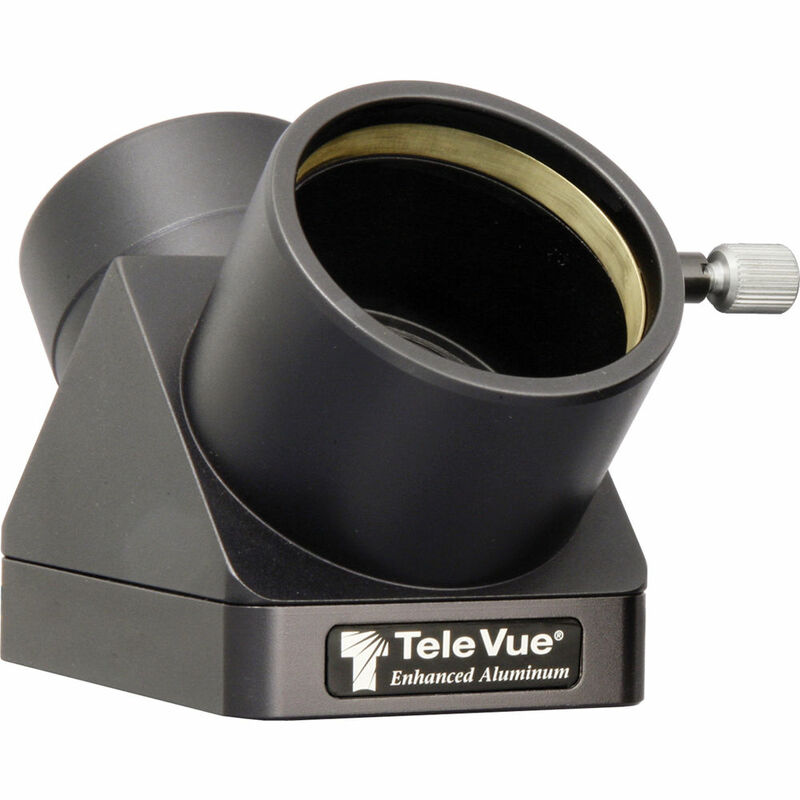 Built to Al Nagler's exacting standards, the 2" Tele Vue 90° Enhanced Aluminum Star Diagonal is outfitted with a traditional star diagonal mirror that has been aluminum coated with a proprietary enhanced reflective-index formula to bring reflectivity up to 96% to ensure bright and clear images, with a clear top coat that protects the aluminum and gives it a long life. This diagonal is machined from a single block of aluminum to ensure permanent alignment of incoming and outgoing light, and to eliminate heavy accessories from forcing the diagonal body to "unscrew" from the barrel, as can occur with two-piece diagonals. A non-marking or marring brass clamp ring holds the eyepiece firmly in place without damaging it, and the diagonal is outfitted with blackened anti-reflection 48mm filter threads. Placing the filter threads on the diagonal body makes observations easier by allowing users to change eyepieces without having to move the filter every time magnification is changed. Box Dimensions (LxWxH) 6.772 x 4.409 x 4.409"